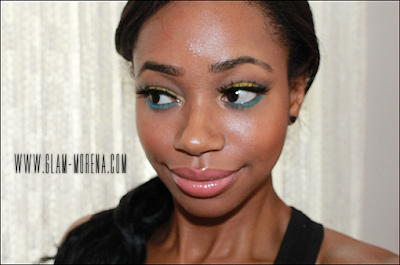 Glam Morena: Tutorial: Bright Delights. I've recreated another look from Jacqueline of A Brilliant Brunette. 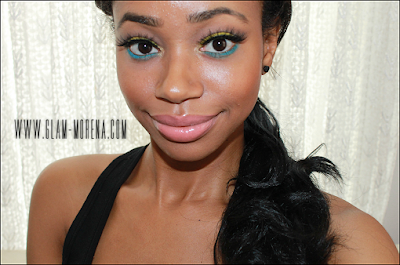 She recently posted this amazing blue and yellow eyeshadow makeup look, so be sure to click here to check it out. Even though this look is bright and bold, it still manages to look a bit more toned down. UI'm obsessed with this look Rai! Your look amazing!